I had so many hopes and dreams for the PlayStation Vita. The successor to the PSP with console quality graphics, PlayStation Network integration and a gorgeous OLED display. How could it possibly fail? The word ‘failure’ however, when applied to the PlayStation Vita is a strange one. It struggled to compete with the Nintendo 3DS. Battled against the huge rise of mobile gaming. However, if you ignore the low sales figures and weak support from Sony; you’ll see that the Vita is anything but a failure. When the PlayStation Vita launched I was broke; so sadly I wasn’t one of those queuing at midnight to pick up my unit. Some months later however after dialling down the student nights out, and living on pasta for a while, I was able to pick up a Vita, along with copies of Wipeout 2048, Uncharted: Golden Abyss, Rayman: Origins and a 4GB Memory Card. The OLED screen was like nothing I’d seen before (adoption in the Smartphone arena was still reasonably infantile). Also, the dual stick controls were very welcome after years of the PSP’s strange slider nub type thingy. The rear and front touch panels were a gimmick in the making. However, at least the latter was and still is handy for navigating the menus with relative ease. Despite all of its’ quirks, I grew to love it and was excited about the future of the Vita. After around three months, however, I was bored. Developer support seemed to be dwindling rapidly. Whilst the gaming press spouted rumours of GTA ports, and EVE: Online got us hyped with a promise that the Vita would be THE handheld to have for an EVE player. I sat twiddling my thumbs wondering what to do with this expensive slab of hardware I’d “suffered” to save for. …my girlfriend (now wife…yay me!) and I had planned our first holiday together. I’m not a good flyer. Correction. I hate flying. It turns me into a dribbling sobbing wreck and distractions are always welcome. It was, therefore, the ideal opportunity for me to pull on my significant others’ heartstrings and spend some money we’d usually be trying to hang on to. I bought my second Vita. I figured that a device that has more console-like experiences which can pull you into their vivid worlds would serve a far more significant distraction on a flight than say a Candy Crush clone on my phone. Also having not followed the console for a while, I was eager to see what had changed in the world of the PlayStation Vita. Thanks to the beauty of the PlayStation Network I was able to grab a few cross-play titles as well as some of the digital purchases I’d made in the years earlier but I also re-bought Uncharted: Golden Abyss just for old times’ sake and a copy of Borderlands 2. As a massive fan of the series, I wanted to see how well it had been ported. Many reviews stated it was poor, but I enjoyed it. Our holiday came and went, and after two weeks the Vita went into a drawer and then eventually on eBay. Although by this point the Vita had garnered a little more attention and was home to quite a wealth of games, the feeling of impending doom, frequent cancellations and bad press killed all of my excitement for the console and there was never honestly anything to look forward to. Also with the PS4 sitting in the corner and Sony securing exclusives from all sides, there was little time for the Vita, when every few months something new, big and shiny was landing on Sony’s home console. With another trip overseas coming up I made history repeat and bought another Vita. This time, however, the ending isn’t going to be so bleak, and you might want to pay attention as to ascertain why. Why then you may be wondering, does this make it such a great console to buy now? It’s because of what I like to call ‘Sega Dreamcast syndrome’. A line is drawn in the sand. First party development has ended, and very few titles are made. Those that are, are often indie games imbued with a passion for the platform in hand and made to exceptionally high standards and weighted with community feedback. There’s no more worrying about the fate of the console, no need to despair when sites like IGN have no news coverage of upcoming games, no need to despair when a big hitter gets cancelled months before release. With the scene set in stone, and all you can do is look back and enjoy. Since I purchased my Vita a month ago, I haven’t put it down. I play before I go to sleep I play while my wife is watching dreadful reality TV barring access to the PS4 I play. I took a train to France and played the whole way there, the entire jounrey back and a little in-between. It’s hard to put it down, and my collection of games has hit 30+ and counting. On Vita, there is none of that. It’s dead. Yes, a few releases are coming up, Secret of Mana Remake is due soon and Ys VIII landed a few days ago. Also a handful of Japanese developers still have big games coming up, but for the most part, especially in the west, it’s game over. The beauty of this is that the clock has now stopped and the budgeting and guilt are gone. Of course, you can’t just splurge every penny you have on every title all at once, but there’s no longer a feeling of urgency to make sure you’re there on day one before the servers get quiet and the DLC expires. Owning a Vita in 2018 gives you access to so many fantastic games, and the beauty lies in that unlike many retro consoles, those games could stand up to today’s critics with ease. Although I’m a retro gamer at heart and don’t mind squinting my way through an 8-bit dungeon crawler, I realise that it’s not for everyone, and the Vita takes care of that hurdle. Option 1 – The portable player: If you’re the sort of person who is always on the go then I highly recommend the LCD equipped PCH-2000 model. The PCH-2000 is lighter, thinner and because the LCD draws less power, you’ll get a boost in battery life from 3-4 hours to 5-7 hours. The downside of course is you’ll be getting a slightly sub-par visual experience. Don’t get me wrong the LCD is still great, but the muted colours pale in comparison to the OLED. However, if you’re new to the Vita, it’s unlikely you’ll ever come across another Vita player and so will never know the difference. Ignorance is bliss. Option 2 – The stay at home gaming connoisseur: If premium means everything and like me, you stay indoors pretty much all year round then the PCH-100(0-3) is the go-to choice. The OLED screen is sublime, and although it has a hit on the battery life, you’ll never be far from a power socket, so it matters little. The PCH-1000 is 40g more burdensome than the PCH-2000, and this can make for tired arms but using cats or pillows as elbow rests alleviates this greatly. Option 3 – Mummy and Daddy’s Credit Card gamer: If your gamer handle is often something like xxXXNoScopeXXxx then why not buy both! On a serious note, many collectors are doing just this. Both consoles have their merits and seeing as prices on either unit have gone down to around the £80 mark pre-owned, you can get both machines for the price of one at RRP. The games are what matters. I’ll start by saying, to get the most out of the Vita you’re going to have to be brave and try something new. I think the reason why I failed to hold onto the Vita the first two times I bought one was because I was looking in all the wrong places for games. Thanks to years of marketing we’re conditioned to seek out the 1st party “masterpieces” however if you start digging for the Call of Duty’s and GTA’s of the Vita world, you’re not only going to come up empty-handed, you’re also going to miss out on some outstanding games indeed. It takes bravery to get the most out of the console. So below I’ve created a list of four titles every new Vita owner should force themselves to try. By doing this, you’ll be opening your eyes to a vast back library of incredible titles you never knew were there, all because they didn’t get a Mountain Dew tie-in or centre stage at E3. For the first hour or so of P4:Golden I didn’t have a clue what was going on, other than the very cool soundtrack, I hated everything about it. JRPG’s and the style that’s often attributed to them these days (what’s with the Emo squad in FFXV?) are not my “cup of tea”. That said, it’s well worth putting in the time, once the game gets going it’s very addictive, and there’s a lot more scope to it than meets the eye. You could be forgiven for thinking in the first few hours that it’s nothing more than a fancy visual novel, but you’d be wrong. If you decide to buy only one game for the Vita, P4:Golden has to be it. The Ys (pronounced y-ees) series has been running since the 1987 and yet has never gained a considerable following. The beauty of the Ys series is that the games all share a collective universe, but there is little to no continuity in the story, which means you can pick up any of the games in any order and not be confused. Ys Origin is the 11th game in the series, but it is set before the very first game. Although the Vita is also home to Ys VII: Memories of Celceta and more recently Ys VIII: Lacrimosa of Dana which are both more modern in their presentation and graphics, Ys Origins would be my go-to recommendation for anyone starting out their Ys adventure on the platform. The reason for this is that it’s incredibly fun and simple to play. Although Ys Origins is let down slightly by the poor quality sprites in rather nice 3D backgrounds, it’s a great time killer with plenty of action and puzzle elements to keep you absorbed. Initially, I was put off by the heavy Japanese styling and stunted the first hour of this game. However, once again through perseverance, I realised how much of a gem this game is. Set in ancient Japan, you are a demon who has possessed the body of a young man/woman (depending on who you begin with) and then you must go around killing people and collecting swords. I’m sure it’s more complex than that, but I made the mistake of taking a two-week break in-between starting and resuming the game, so the plot has become a bit lost. That said, not only is it fantastic to play, it’s a stunning game to look at. In the absence of 1st party developers on Vita, pushing the hardware to the limits, it’s games like Muramasa that make you proud of owning a Vita. Similar in style to Muramasa Odin Sphere packs in the same action-based gameplay with RPG elements. Stunning to look at and with amazing replayability. I think the trailer can do most of the talking about this game. Four games? Is that it? Of course not, the Vita has hundreds of fantastic titles, but the point I’m trying to make is that it’s easy to fire up the PlayStation Store, scan the titles and then when you fail to find nothing familiar, jump to the conclusion that there is nothing worth playing. Perhaps I’m just uncultured but other than Persona; I hadn’t heard of any of the games above. Only thanks to recommendations and a little time have I come to love them and seek out similar titles; of which there are many. If I’d carried on with my habits of seeking out the likes of Fifa, Tomb Raider, Destiny and others, my current Vita would be back on eBay much like the last. That’s why I and many others don’t see the Vita as a failure. It’s never been short of good games; just those games have never made it to prominence through lack of marketing. It’s sad really, but I guess the sort-of good news is that many of them have made it over to the PS4 too where hopefully they will get a second chance, but it’s unlikely. Either way, if you decide the Vita is not for you, I strongly recommend you try some of the PS4 ports where possible. Online or offline is a decision you’re going to have to make pretty early. The Vita collectors scene is growing at an alarming rate. Although this is great to see, it does have its’ downsides. Memory cards which were never cheap, to begin with, are rising in price due to low supply and high demand. Purchasing a memory card can be the deal breaker for any budding Vita enthusiast. Therefore if you decide only to purchase digital games; prepare to spend a lot on memory cards. They come in 4GB, 8GB, 16GB, 32GB and 64GB variants. Numerous people have reported that 64GB cards can be unstable. So with that in mind, a 32GB is what I’d recommend you pick up. A 32GB card will hold around 20 games. Although memory cards are expensive, unlike the PS4, the digital counterparts of Vita games can often be cheaper than physical copies. There’s also the added bonus of having all of your games with you at all time. Be aware however that not all titles are available on the PS Store. A physical collection of Vita games also has some negatives as well as positives. The positives are that most titles are cheap, especially some of the more popular releases such as Killzone and Uncharted. Another plus is that there are some titles that you can only get in physical form, Ultimate Marvel vs Capcom 3 for example. The negatives come in the form of artificial inflation imposed on some titles. In the US Odin Sphere seems to have gained a reputation as a rare title, even though it’s not; so until the market calms down, expect the prices to remain high. Keep in mind that however that some physical releases require memory card space to function. You can usually find this info on the back of the boxes. The PlayStation Vita headphones have excellent sound quality and carry that classic Sony look. There’s nothing to stop you from using a standard set of headphones with the Vita. However, the official headphones have the advantage of inline volume control and microphone for multiplayer. Sony used a slightly modified headphone jack on the PS Vita (and PS4 Controller). So you’ll have better success with the receiver using the official headphones. Best of all, they also work with the PS4 controller; if you don’t already have a dedicated headset. The Official Charging Dock is a must for PCH-1000 owners due to the systems’ proprietary charging connector, which tends to break quite easily. 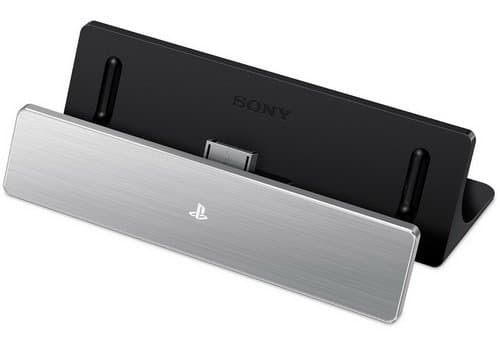 Using the dock not only gives the Vita a tidy place to live; but also reduces cable flex and may prolong the life of your system. The PCH-2000 uses micro USB for changing which is much more sturdy. 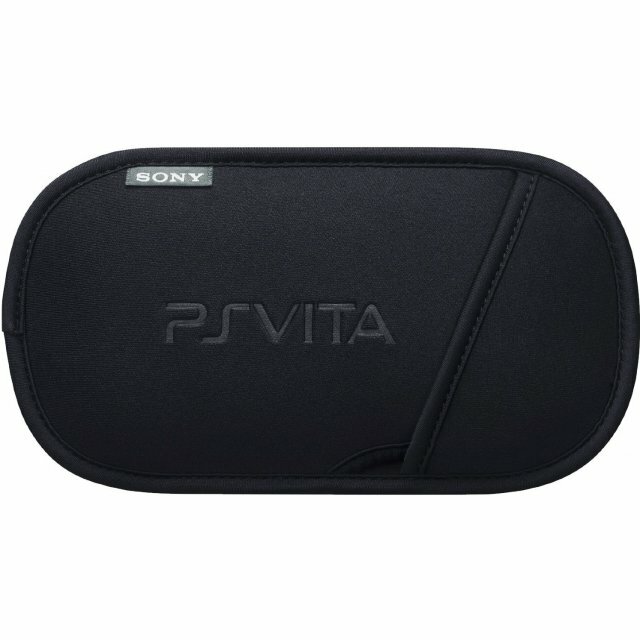 Official Protective Sleeve – Many owners opt for a hard case, but I use the sleeve as it keeps the footprint low and does an excellent job of keeping the console safe as long as you don’t put anything substantial on it. Also, it’s very cheap (£4) when bought from Amazon. What else can I do with my Vita? The honest answer is not much. Many of the services on the device have shut down including Sony’s Near service and PS Now. The browser still works reasonably well and does an excellent job of playing YouTube videos; which look great on the OLED display. Trophy support, however, is very much alive and it’s fantastic seeing Vita Trophies appear in the PS4 news feed. They’re a boast that not many others can display. The Friends service is also a handy app for the Vita and a great way to communicate with other players. It supports the touch screen for typing. Outside of the PlayStation Networks’ iOS and Android apps; the Vita is hands down the best way to stay in touch with Playstation equipped friends. The most useful app on the Vita, however, is probably PS4 Remote Play. It works surprisingly well when in the same building as the PS4 but not so much when on the go. I’ve often found it handy when my TV isn’t accessible (due to wife). It’s ideal for games which don’t require lightning fast reflexes. Sonic Mania and Metal Gear Solid V are two examples which work well on Remote Play. Within a reasonable range (same room). You can set the PS4 to communicate directly with the Vita instead of using the home network, allowing for much less lag in games. Connecting the PS4 via Ethernet dramatically reduces lag and response time. A smooth, low-cost way to do this is by using Powerline Adapters. Consider a grip attachment for L2 R2 functionality. You can buy one for the PCH-1000 here and one of the PCH-2000 here.